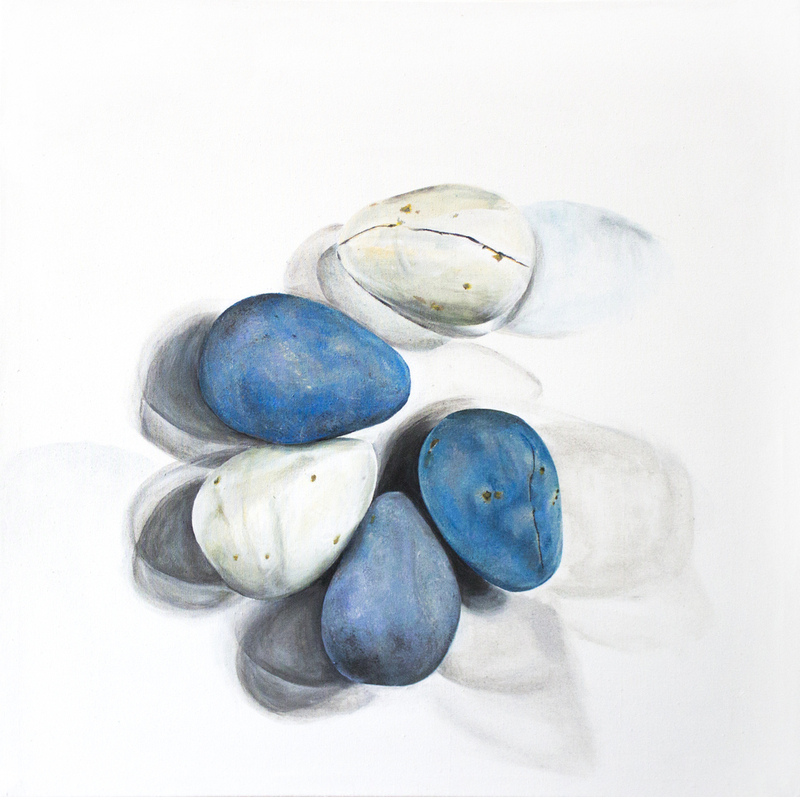 I'm super excited to announce that giclee prints of "Stone Eggs" and "CHICKEN LIVER" are now available for purchase. Prints of "CHICKEN LIVER" are only available for a very limited time. The giclee prints will be on Somerset Velvet paper, they will be crisp, bright and will be archival for up to 90 years. First piece from THE RUMINATE PROJECT, which creates a link between art, cuisine and the vital role our food culture has on the cultural metamorphosis the city of Charlotte is experiencing. 1. Choose the title and sizes you would like to purchase. 4. You will receive shipment confirmation from me once the prints have been shipped. 5. Wait patiently for the prints to arrive at your door!! Stay tuned more updates coming soon on The Ruminate Project!! The past couple of weeks have been an incredible experience bringing this project together, it just keeps getting better and better everyday. The hope is that The Ruminate Project becomes a unique link between the booming food culture and the creative community in Charlotte. I'm reaching out to local chefs/bakers/mixologist/baristas, new restaurants, some of the new pop-ups concepts as well to create art based on some of their concoctions. I do want to capture their work onto my canvas', but beyond that my main goal is to bring more attention to the passion and creativity oozing from the creators onto our plates to be devoured in a matter of minutes. Social media has created a very thrilling buzz for all of us to feel included in the sharing, connecting and exploring for the foodie community, but I think it is important to balance out that tech-interaction overload with objects and with people in order to connect more dots and create a better identity. By enlarging the plates or mugs or coups on canvas I hope it also widens the lens of our community to see the fuel that the cuisine itself is giving to the cultural metamorphosis the entire city is experiencing. Giant thank you to everyone who has shown support and shared belief in this project. Finally having the sense that others agree that The Ruminate Project can be and is BIGGER THAN THE ART is just about the best thing EVER. I have lots of very exciting news to share in the coming weeks as the plans start rolling out. Stay tuned and get involved with The Ruminate Project by following me on twitter and instagram! "CHICKEN LIVER" (Work in progress) is the first in my "Ruminate" series which feature both food and drink of the up and coming food scene in Charlotte and their creators. I had an overwhelming amount of motivation to paint this beautiful plate after corresponding with the creator Matthew Krenz. Heis the Chef of Cuisine at The Asbury in the Dunhill Hotel and ranch manager at Krenz Ranch in Marshville, NC. I was exposed to his passion as a chef and got a peek at the preparation and ingenuity that goes into each of these plates. 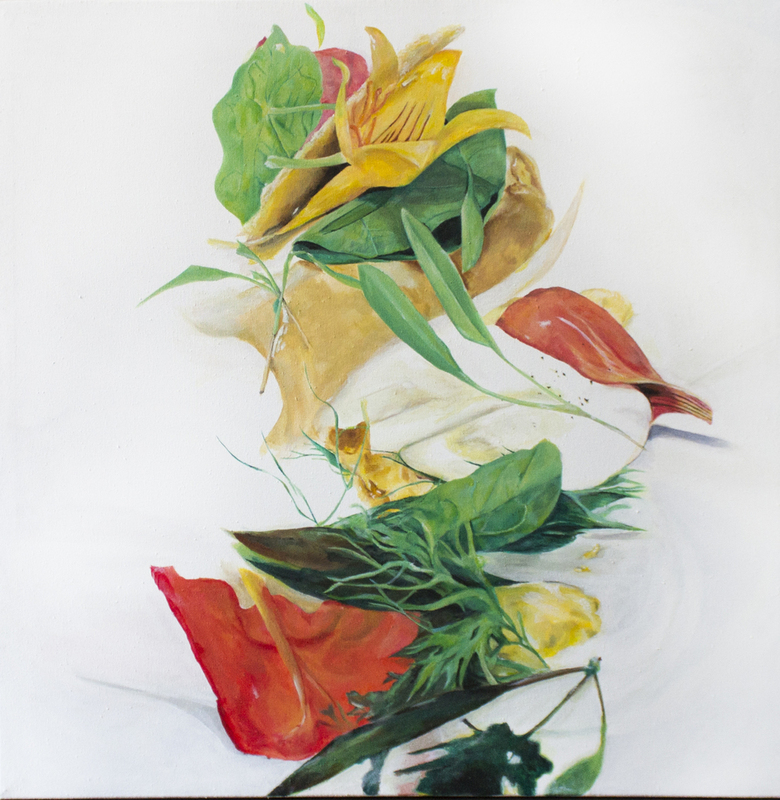 I have a good laugh everytime introduce the painting as "CHICKEN LIVER" because they hardly recognize that it is food, let alone that it is a dish is originally composed of chicken liver, oat cracker, nasturtium, poached quail egg, fennel and chickweed. This project has already transformed into something I never expected and has become my most important piece of work thus far. Since I have crazy food allergies I am not able to join in on the foodie scene full force in the way I wish to. I felt like this series could be one of the greatest ways for me to connect, appreciate and explore the work that these chefs, baristas and mixologists are pouring themselves into day in and day out. Working on "CHICKEN LIVER" allowed me to spend hours reflecting, discovering and exploring the limitlessness of my own creativity, but I became fascinated thinking about the uniqueness of each of our individual expressions. We each have our own time and process to craft our lives. Whether your passion goes on a plate, in a coffee mug, onto a canvas, into a song, onto paper, organizing an event, developing a new app, drafting business plan or simple tweeting a joke, you are creating. You are creating your life. Hopefully you are doing so in the best way possible. As flattering as it has been to hear people tell me “I wish I could paint like that, I can hardly manage a stick figure”, I wish for my art to spark some sort of self recognition for the viewer. To spark a realization that generating a laugh which dissipates in a matter of seconds or carefully preparing and replicating the same plate over and over only to be devoured in matter of minutes, can create a moment that is more powerful than some medium on big canvas that could outlive us all! Because making things disappear can be just as magical as making them appear. I hope that you will join in on my excitement and follow me on IG/Twitter @cecestronach, like my facebook page and subscribe to my newsletter for updates on this series and some other upcoming events I will be participating in!